Energy giant, SSE, agreed to donate £700,000 to the official fund for supporting vulnerable bill payers this week after failing to meet obligatory meter installation targets. This is the latest in a series of hits, delays, and spiralling bills to have afflicted the smart-meter rollout, designed to save money for 30 million homes and small businesses by 2020. The issue is that it’s not just SSE that’s failing to capitalise on the smart meter potential. Many homes are missing out on what smart meters are capable of. This means they are missing out on the opportunity to save much-needed cash. According to Will Swan, lead researcher at the University of Salford’s smart meter lab, the UK is in the midst of an explosion of tech, but one that is having little impact on core objectives such as lowering bills, cutting carbon and improving customer satisfaction. Satisfaction is relatively high. According to Citizens Advice, 80 per cent of people who have a smart meter installed are satisfied. The actual savings for customers, however, are uninspiring. A report from the British Infrastructure Group last year found that those with smart meters are expected to save £11 a year, far less than initially thought. So, how could smart meters do more? What’s more, they end the need to estimate bills, meaning customers aren’t at risk of paying too much or too little for their energy. But that’s just the beginning. Wider understanding and use of a smart meter display panel won’t help people transform their energy usage if it’s not in sight. 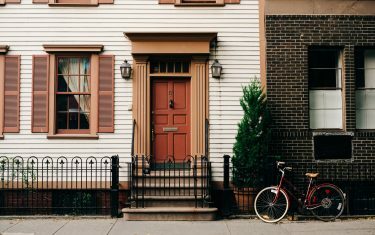 There are a few different ways the display screen can be set up, ranging from monthly spend to average use comparisons, so it would be wise for homeowners to experiment and see which display works best for them. Having a clear sight of how much energy a house is using has been shown to help people reduce the costs over time. That reduction can be sustained by keeping the panel on display. However, this requires customer engagement, something that simply isn’t happening. According to a report from the National Audit Office, 2.1 million of the 6.8 million households that have smart meters installed have no recollection of getting any energy efficiency advice at the time. However, this is something suppliers should be doing, as well as explaining how the in-home display works. But it seems that some huge cost-cutting opportunities are being missed. Smart Energy GB polled 2,000 people, discovering that over a third would be more likely to purchase an electric vehicle if they could use their smart meter to programme charging for the cheapest periods. University of Leeds researcher, Dr Stephen Hall, says smart meters could play a key role in driving adoption. 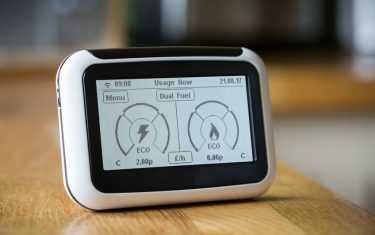 “Smart meters can put us in the fast lane for consumer control over energy choices which encourages the uptake of electric vehicles in Britain,” he says. For smart meters to truly help customers save, there is more that they could do to allow them to use power when it’s cheapest or the most environmentally friendly. An early example of this is the Agile Octopus tariff from Octopus Energy. It communicates with smart meters, as well as other forms of smart home tech, to control energy consumption within the home. This includes switching off the immersion heater when prices are high or powering up appliances when they are low. As a smart meter engineer, it’s your duty to ensure your customers know how they can get the most out of their smart meter. With up to date training from ECTA, you can ensure your customers that you have the knowledge to keep their costs down and their energy usage efficient. To find out more about our courses, get in touch.